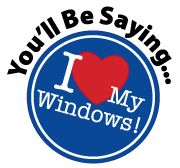 Here at Universal Windows Direct, we take our customer's satisfaction very seriously. We pride ourselves in our large number of repeat and referral customers and a customer's experience after the purchase is essential to the growth of our company. In addition, our customers live and work in the same communities as we do. When we say we're your hometown home improvment company, we mean it and we want to be that company for the life of your home. In the first part of our series "Focus on the Customer", we speak with one of the wonderful assistants in our installation department. A: I work in the Installation Department, checking window orders and scheduling material checklist appointments. This is important for a couple of reasons, the first being, because many times we serve as the secondary contact to the customer after their sales experience. The customer gets confirmation that their contract is here and approved and we schedule their next appointment to continue their home improvement purchase. We also help to answer any additional questions they might have. Secondly, it is important to check the orders before they go to be custom manufactured to make sure their order is accurate and their experience with us goes as quickly and smoothly as possible. A: I do my best to answer any questions they may have. I cannot answer them, I will find someone who can. I also work with their schedules and ours to get their material checklist appointment scheduled as quickly as possible and have their orders placed and checked so they can enjoy their investment as soon as possible. A: If a customer has a complaint or concern, I try to address the issue myself so that I can make sure it is handled promptly and professionally. There are situations that arise that may call for a manager or someone from another department. Those issues are dealt with on a case-by-case basis and I personally see to it that the customer is directed to the proper person to minimize response time. A: Sometimes if paperwork is missed or needed from a customer, we will drive to them ourselves to make it more convenient. In most cases, they’ve already had to adjust their schedules for the sales visit, the checklist and the install so we try to make everything else as convenient as possible. A: My favorite part about working at UWD is the family atmosphere. My co-workers and management are all very friendly. The owners, Mike and Bill, take the time to get to know everyone and we see and interact with them on a regular basis. They truly care about their customers, the products they sell and their employees.